The idea of wine-tasting as a thing hasn’t quite caught on in Portugal yet — it’s still a rarity to get a tasting tour at most of the wineries that sell to the public. 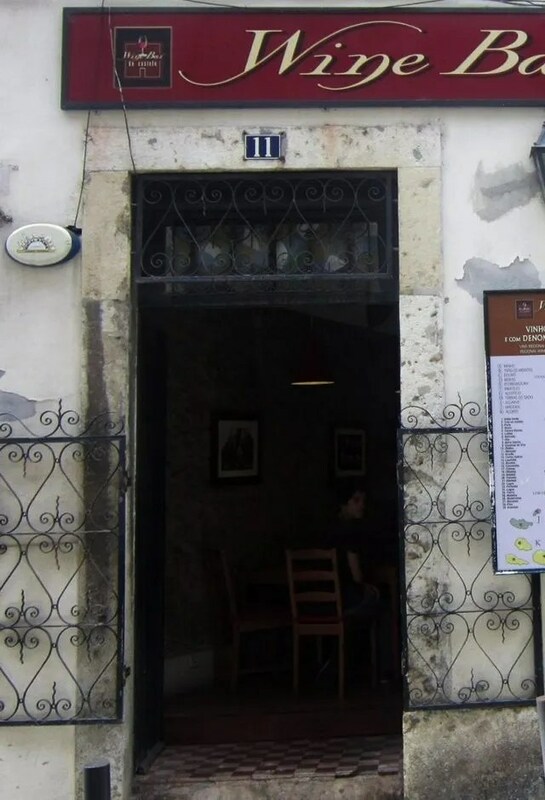 But the people behind Wine Bar do Castelo have realized a few years ago that a certain kind of tourist is turned on by a bit of wine education with their tipple, and that’s exactly what this tiny cafe right off the Castelo do São Jorge offers. You answer a few questions about the type of wine you generally like and/or want to drink, and they’ll bring you three wines to try and then pick one to fill up. This doesn’t come cheap, but it’s a fun way to dig a bit deeper into the different grapes and regions of the country, as well as to discover wines you’ll have trouble finding anywhere else. The staff is certainly knowledgeable about Portuguese wine but can get a little annoying if you exhibit any sort of existing knowledge, unfortunately. “Do you know how man grape varieties there are in Portugal?” one surly waiter asked Atlas on our visit. “Around 400?” we ventured. He blinked just a second and, uhm, corrected us: “412!” Yes. But get over it, you’ll like the wine — and the cheese and cured meats platters are amazing all on their own.